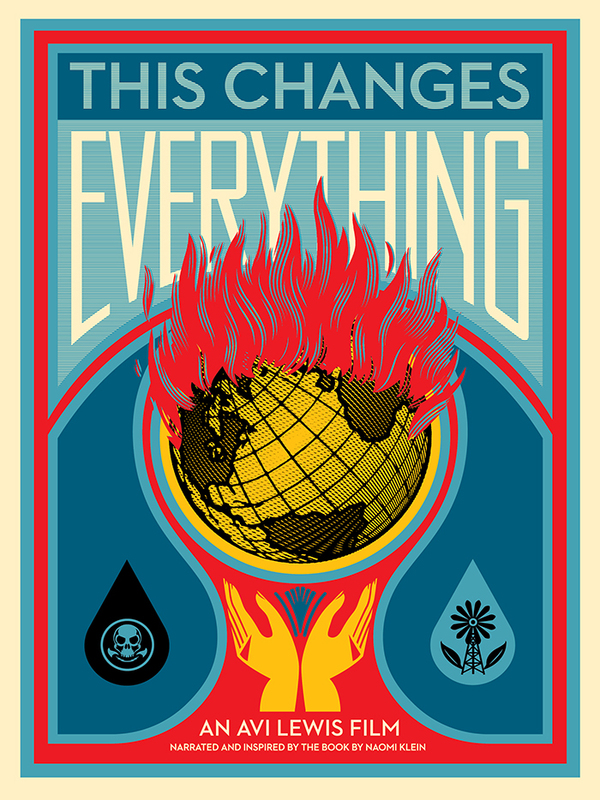 “THIS CHANGES EVERYTHING”, a new film (2015) about capitalism vs. climate will be shown in our free film series on Tuesday, February 2nd, 7pm, at the Church of the Ascension Parish House, 12 West 11th Street. Based on Naomi Klein’s book of the same name, it explores whether the climate crisis can be addressed in the current era of reckless consumption and market fundamentalism. The guest speaker at this film presentation will be Ken Gale, Host and Producer of WBAI’s Ecologic. Mr. Gale is also a founding member of New York City’s Safe Energy Campaign. The post-film Q&A will be very enlightening! For more information see this webpage.